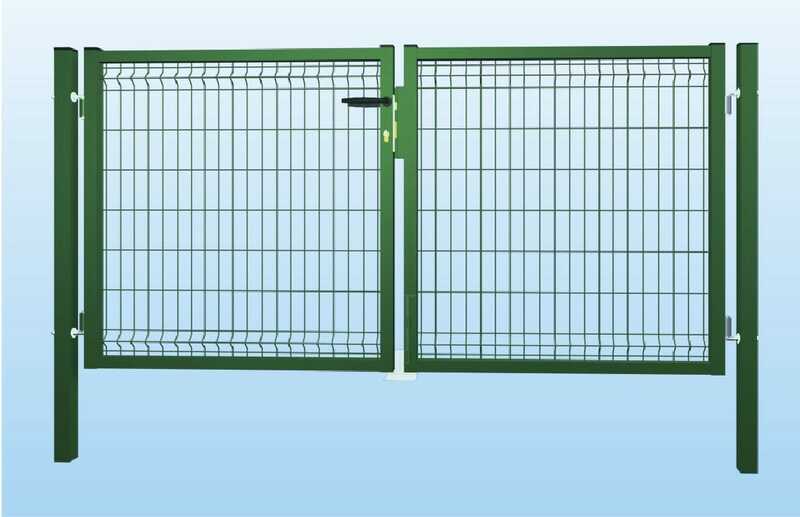 Product categories of Garden Gate, we are specialized manufacturers from China, Galvanized Wire Mesh Gate, Green PVC Welded Wire Mesh Gate suppliers/factory, wholesale high-quality products of Galvanized Welded Fence Panel Gate R & D and manufacturing, we have the perfect after-sales service and technical support. Look forward to your cooperation! Garden Gate perfectly combine with around fencing, showing excellent integrality. It is made of hot dipped galvanized round steel tube or square steel tube. Zinc phosphated and powder coated in green or other colour. Compete set shrink packed ready for the DIY assembly. Gate post: Æ60mm, they are usually 50cm longer than the height of gate. Gate post could also be square or rectangle for your favorites. Accessories: Lock with handle and unique keys, adjustable hinges. Clour: RAL 6005-Green, RAL9010-White, RAL9005-Black,RAL7016-Grey, etc.